The District’s three-year contract with Illinois Central School Bus for both regular and special education transportation services ends this spring. Responsive bids were received from First Student Inc. and Illinois Central School Bus on April 7. Each bid was evaluated on the basis of stability of service, safety, responsiveness to bid specifications, and price. 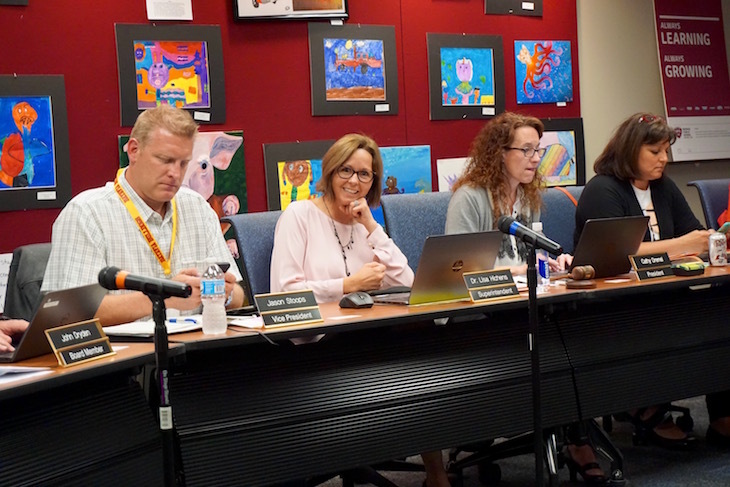 At the April 26 meeting, the Board awarded the three-year (fiscal years 2017 through 2019) regular and special education transportation contracts to Illinois Central School Bus. The total, three-year estimated contract cost for regular education transportation is $5,663,643. The total, three-year estimated contract cost for special education transportation is $6,437,485. 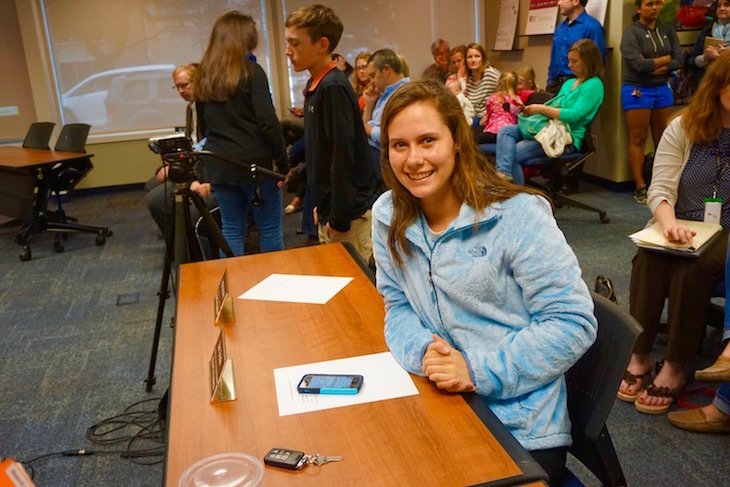 In an attempt to address the regional driver shortage, BPS101’s bid specification set a minimum wage of $15 per hour for bus drivers. Under the current contract with Illinois Central School Bus, the starting wage is $13.18 per hour. 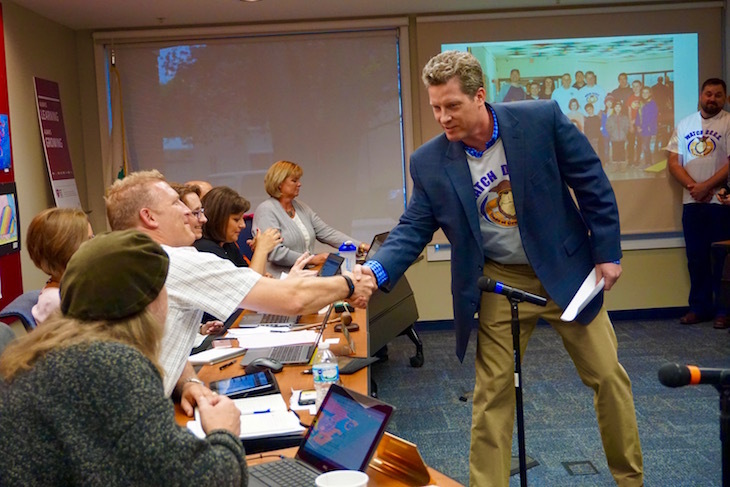 The board adopted policies 7:190 Student Behavior, 7:200 Suspension Procedures, 7:210 Expulsion Procedures, 7:220 Bus Conduct, 6:300 Graduation Requirements, and 6:310 High School Credit for Non-District Experiences; Course Substitutions; Re-Entering Students as presented. 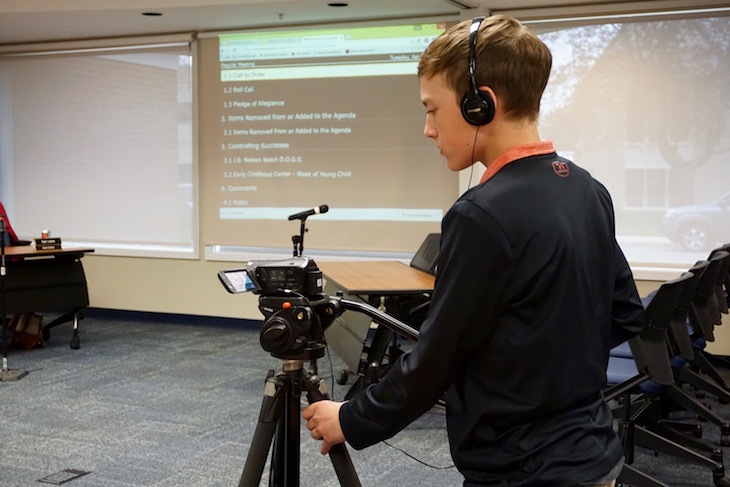 The Board’s approval of the track and field improvements at Batavia High School requires inter-fund transfers and a budget amendment to properly fund the project. The process for budget amendments is the same as the adoption of the regular budget, therefore, a tentative amended budget will be posted for 30 days, followed by a public hearing. The public hearing is scheduled on Tues., June 7 during the regular 7 p.m. Board Meeting at 335 W. Wilson St., Batavia. 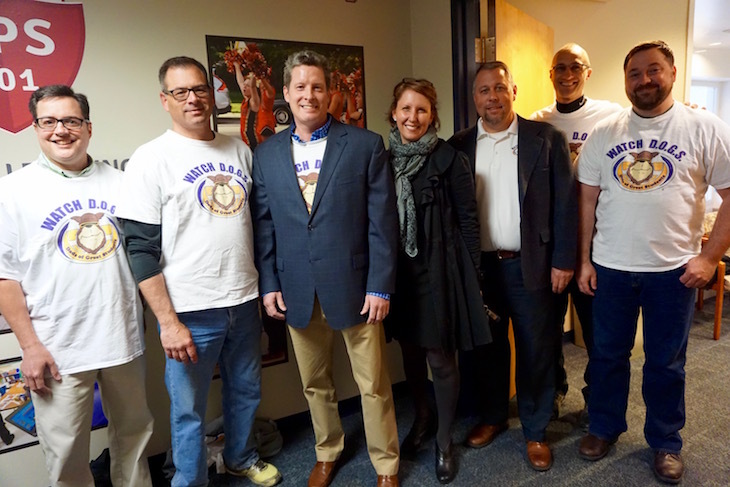 J.B. Nelson Principal Nicole Prentiss, Assistant Principal Matt Jeffrey, and J.B. Nelson Parent/Watch D.O.G.S. program volunteer Aaron Kilburg shared with Board Members the exponential growth and accomplishments of the Watch D.O.G.S. program since it launched at JBN two years ago. The school-based, father-involvement program works to support education and safety. During the 2015-2016 school year, 62 fathers, stepfathers, grandfathers, uncles and father-figures will have spent more than 500 hours volunteering in classrooms, hallways, cafeteria, school grounds and at other school-related events like teacher appreciation week and the JBN Fun Fair. 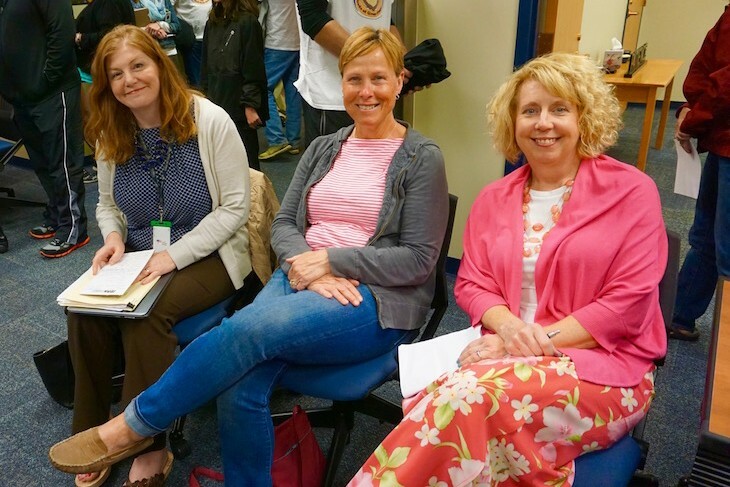 Early Childhood team members Leeann Rodriguez, Karen Nellis, Allison Phillips Zabelin, and Susan Jones, thanked the Board, administration, Batavia High School student volunteers, and EC parent volunteers for making the Week of the Young Child™ so successful. The Week of the Young Child is an annual event hosted by the National Association for the Education of Young Children celebrating early learning, young children, their teachers, and families. This was the EC’s second year celebrating the Week of Young Child, which started with a family kick-off event on Sun., April 17 and culminated with a Family Literacy/Music Night with Miss Carole on Fri., April 15. 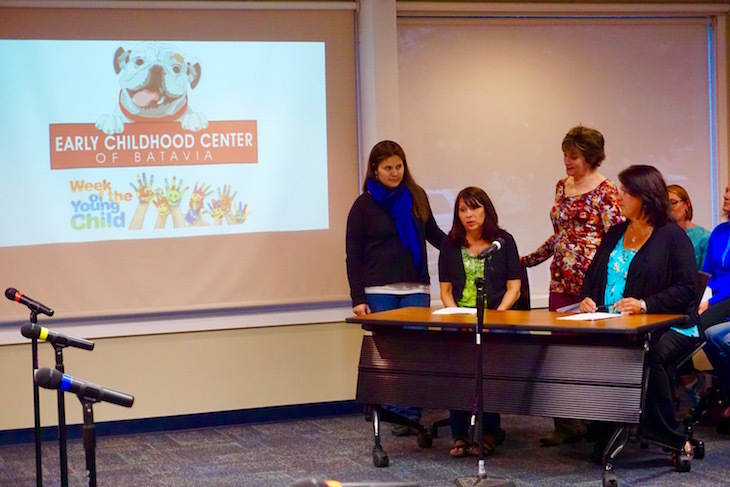 EC staff members said they hope to grow the event and incorporate other community agencies that serve young children like the Batavia Park District and Batavia Library. Tues., May 24, 7 p.m.
Tues., June 7, 7 p.m.
Tues., June 21, 7 p.m.